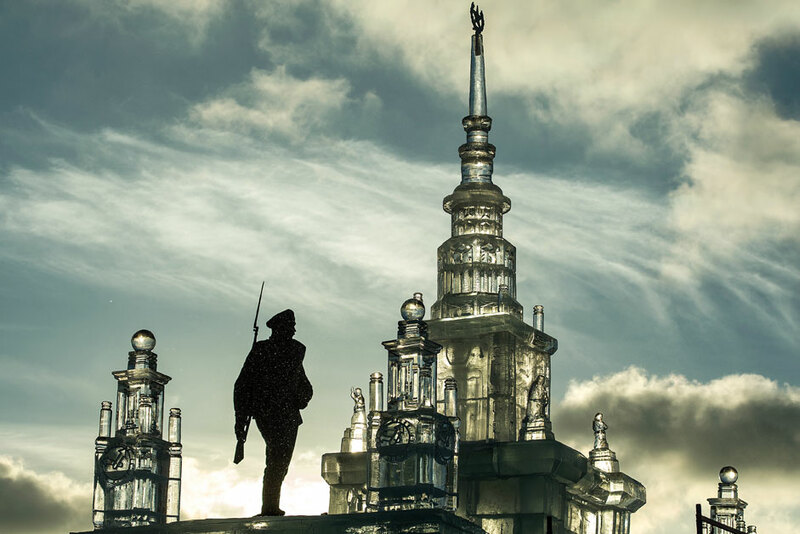 The building of Moscow State University, created from ice festival participants "Ice Moscow. Within the Family" in Victory Park in Moscow. Replika gedung Universitas Negeri Moskow (MGU) yang dibuat salah seorang peserta festival "Ice Moscow. Within the Family". Replika gedung Universitas Negeri Moskow (MGU) yang dibuat salah seorang peserta festival "Ice Moscow. Within the Family" di Taman Kemenangan, Moskow.